Apple (NASDAQ:AAPL) announced some updates to its mobile operating systems across the board during Apple Worldwide Developers Conference 2016 recently. Those updates included some new features and a more open policy for app developers, which will hopefully bring more innovative solutions in the future. Since the mobile division is the bread and butter of the company, the spotlight was definitely brighter on iOS 10. Apple says the iOS 10 update is the biggest release to date, with more than 70 new features designed to make your mobile experience better than ever. Before you visit the App Store to download the latest version, you should know it won’t be available until later this fall, and only for the following devices: iPhone 5 and later, all iPad Air and iPad Pro models, iPad 4th generation, iPad mini 2 and later, and iPod touch 6th generation. Meanwhile here are some of the more important features Apple wanted the world to know from iOS 10? When 3D Touch was introduced on the 6S it was well received, but there were some complaints, especially on how quickly it responded. The app has been tweaked to be more responsive, and all you have to do is deep press an icon for an app a little longer and it brings up key info without having to enter the app. For the home screen this is a great feature, as you have all the apps you use most front and center. If you want to take a quick look at a notification, you deep press it and you can see the messages right away. Companies that want to create apps for this feature, such as Uber, food delivery, service related companies or others can provide information on their location and how long it will take them to a customer’s location. The lock screen experience is much smarter now because you can view it by just picking up the phone, hence the name Raise to Wake. This feature is also integrated with 3D Touch, which lets you see inside of Notifications, Today view and Control Center with a deep press. The biggest news for Siri is that Apple will be releasing the Siri API to the developer community, which might be the only truly big surprise of the whole event. With the SiriKIt, developers will have access to many of the voice controlled capabilities so they can design apps for messaging, phone calls, photo search, ride booking, personal payments and workouts, as well as controls for some home appliances and automotive functions. The new feature in the Photos app is called Memories, which scans all your photos and videos and finds favorite people, trips and events to present them in a collection. It goes through your pictures and turns them into highlight-style reels with on-device facial, object and scene recognition technology. There are also new facial and location detection capabilities along with a more powerful search. Maps is also being made available to developers so they can create new applications. The Maps API will bring in OpenTable, Uber, Lyft and other services so users can book tables at restaurants and get a ride back home when they are finished — all within the Maps app. The app also proactively delivers directions based on your routine or appointments on your calendar. And once a route has been planned, it can search for gas stations, restaurants, coffee shops and more. This is a native app which expands on the Homekit framework for the connected devices in your home. With more appliances and home infrastructure slowly but surely becoming part of the Internet of Things (IoT), this is an application with many long term prospects. Support for HomeKit is growing, and it will include thermostats, lights, window shades, door locks, video cameras and more. 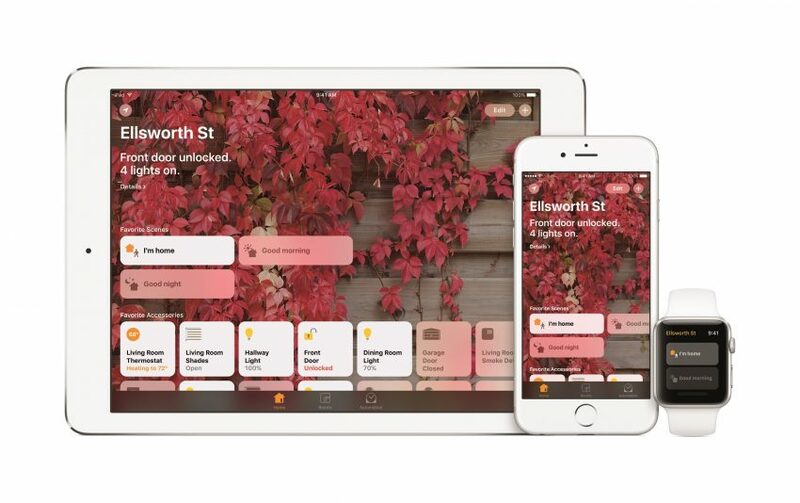 Apple also announced how HomeKit devices will be integrated by leading home builders, including Brookfield Residential, KB Home, Lennar Homes and R&F Properties. Apple Music has a new design for easy access to your music library as well as discovering new music. The news app has a new For You feature that is organized into categories to make it easier to find stories, breaking news notifications, and paid subscriptions to news services. 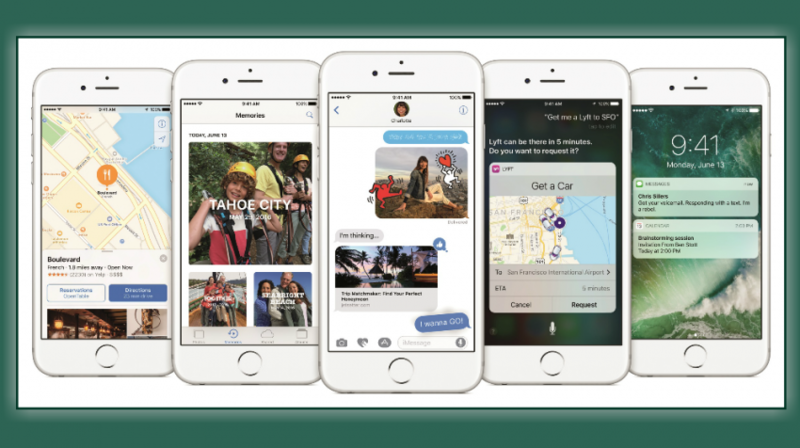 Other updates include an overhaul to iOS 10’s Messages app including iMessages. If you regularly use an iOS powered device to keep you connected while on the go in your business, you can see a new overview of 3D Touch and other features here.